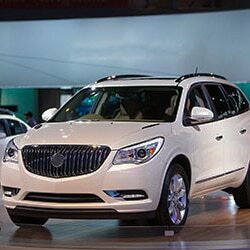 Used Buick Engines - ASAP Motors will find the Buick motor you need. Please complete the following fields to receive bids for Buick parts! Founded well over 100 years ago in 1903, Buick is one of the first American car manufacturers. Just one year after it’s inception, Buick became the first automaker to outfit its cars with overhead valve engines. Today, Buicks are available with a variety of engines, including V6 and inline-four (I4) engines. Used Buick engines are readily available, and these can be found & installed in a way so that car owners save money on repairing or restoring their vehicle. Businesses and personal vehicle owners are sure to realize a number of benefits when they rely on our service to help them find the right motor for their car. Installing a pre-owned motor is a great way to save money, and there are plenty of quality parts on the market. People can now take advantage of our free service. The service only takes about 1 minute to fill out the request, and you will then be contacted with multiple offers from our team of automotive recycling centers and brokers. To find a used Buick engine at a price that’s right for you, just fill out the form above and ASAP Motors will put you in touch with our network of reputable auto parts brokers. Our site relies on a simple to fill out form. This request provides suppliers with information about your particular vehicle. This will then be used to match the existing yards and use motor brokers with the right part. Our users are also advised to leave their e-mail or phone number, so that we can contact them with the offers we find. Shopping for motors or used transmissions at local recycling centers used to take a lot of time and effort. Many people have driven an hour or more to a yard only to find out that there was nothing to fit their vehicle in stock. For this reason, we have taken this hassle out of buying used engines. Our service will contact you with the type engines that are available for your car. There is no obligation to buy any of the engines located using this service. Our services are made to help shopper save time and money, and we also work to provide multiple quotes from the suppliers in our database. The services are completely free, and it really only takes about 1 minute of your time to fill out the request. The contacts will then be made, and you can choose the right priced part for your vehicle. Finding replacement engine for your Buick is the smart way for businesses and personal vehicle owners to save time and money. We are able to locate Buick Park Avenue , Buick Rendezvous and Buick Roadmaster motors just to name a few. It is often quite affordable to install a motor, and this is much cheaper than buying a new vehicle. We have made it easy for anyone to find the right part for their car. We have developed a search service that lets our shoppers get offers from the multiple yards and brokers. The services are free, and there is no obligation to buy anything. Whether you’re looking for a 1980 V8 engine or a 2015 V6, ASAP Motors can help you find the used Buick engine you’re looking for. Whether you’re working with a tight budget or are looking for the best engine that money can buy, ASAP Motors will help you find a used Buick engine that’s right for you. Q: How much do used Buick engines cost? A: Depending on the year and model, used Buick engines tend to cost between $300 and $1,000. Q: Who makes Buick engines and where are they made? A: Since Buick is owned by General Motors (GM), all Buick engines are made by GM. General Motors is headquartered in Detroit, Mich., although it manufactures its cars in a variety of plants both in the U.S. and abroad. Q: What is the best Buick engine? A: Although the answer to this question depends greatly on your preferences and needs, one Buick engine, in particular, is regarded as being truly exemplary: The Buick V6 Series II 3800. In 2014, Jalopnik, a news and opinion website about cars, named this engine the fifth best engine of the past 20 years, and many drivers cite it as being their favorite Buick engine. Manufactured from the 1950s to the mid-2000s, the Buick LeSabre is a full-size car which borrowed many of its visual elements from aircraft design. The original 1959 model was equipped with a V8 engine, while more recent models were only available with V6 engines. The Buick Regal is a sleek mid-size car that was first released in the mid-1970s. Although its appearance has changed significantly over the years, it has always maintained an upscale and luxurious look. Most Regal models are available with either an I4 or V6 engine. The Buick Allure is the Canadian version of the Buick LaCrosse, as it’s known in the U.S. market. First released in Canada in 2009, the Allure is known for its streamlined exterior, quiet interior and powerful V6 engine.